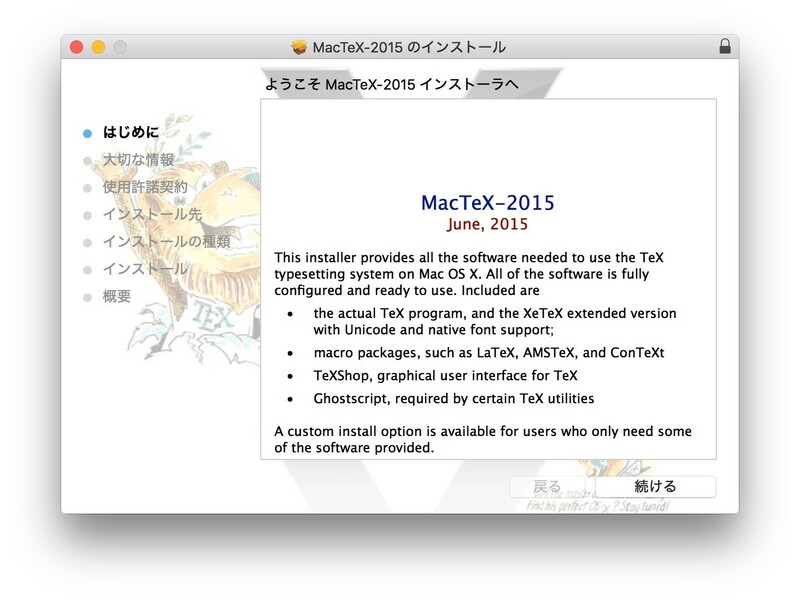 MacTeX、OS X 10.11 El Capitanの新しいシステム保護機能Rootlessに対応するためのサポートドキュメントを公開。TeXShopは既に対応済。 | AAPL Ch. 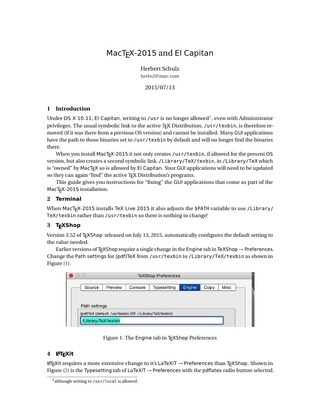 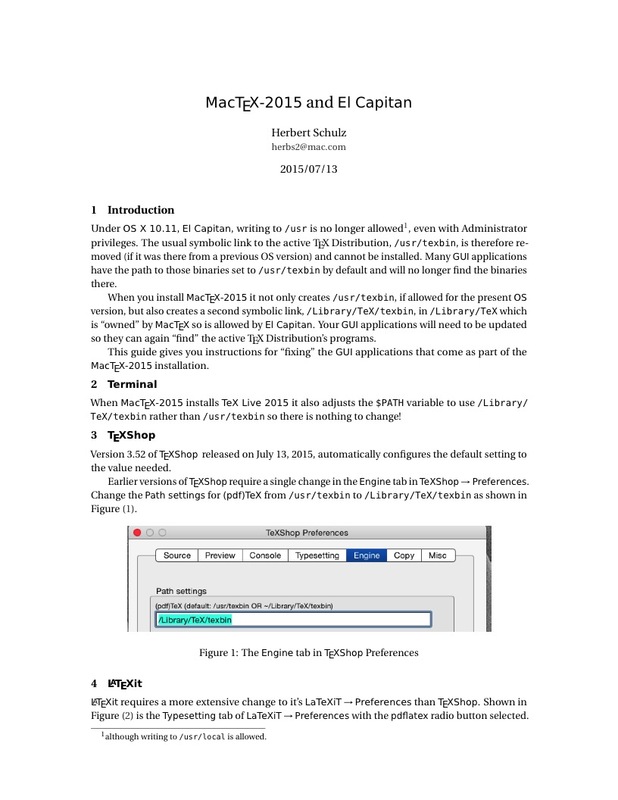 Under OS X 10.11, El Capitan, writing to /usr is no longer allowed1, even with Administrator privileges. 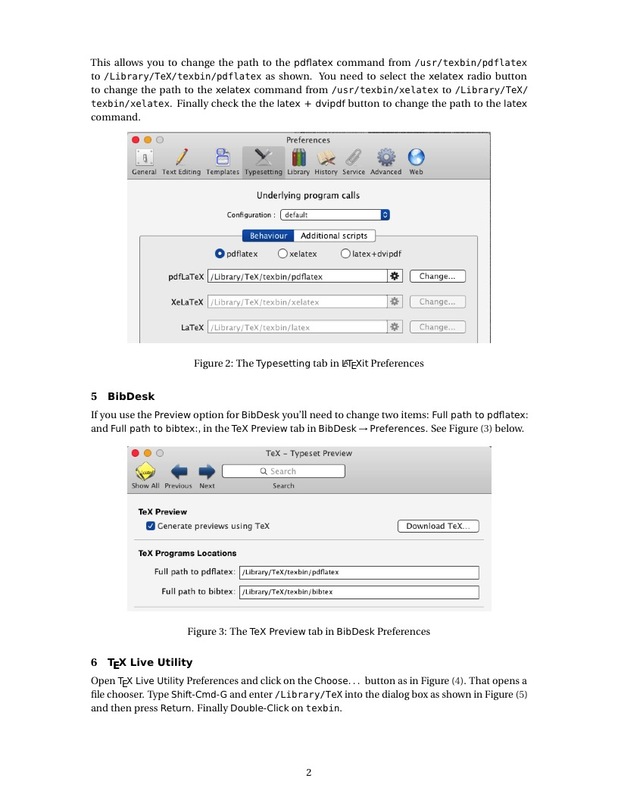 The usual symbolic link to the active TEX Distribution, /usr/texbin, is therefore re- moved (if it was there from a previous OS version) and cannot be installed. 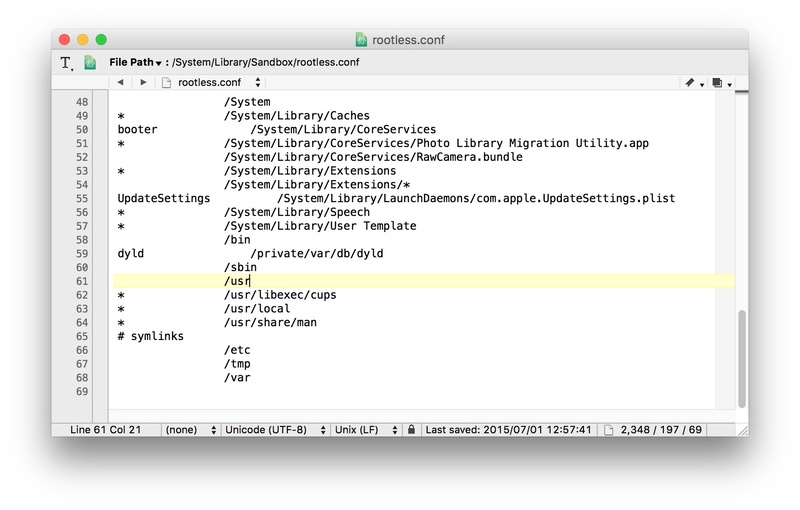 Many GUI applications have the path to those binaries set to /usr/texbin by default and will no longer find the binaries there. 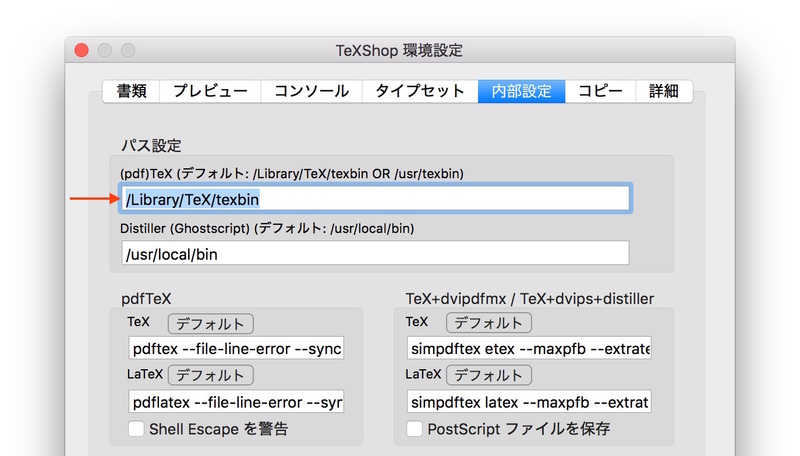 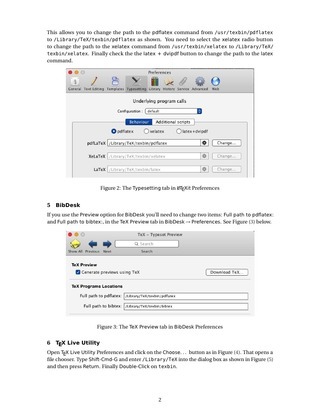 When you install MacTEX-2015 it not only creates /usr/texbin, if allowed for the present OS version, but also creates a second symbolic link, /Library/TeX/texbin, in /Library/TeX which is “owned” by MacTEX so is allowed by El Capitan.